Spring may well be over, but that doesn't mean the racing action has ended. The summer racing season is getting into full swing at Caulfield Racecourse. 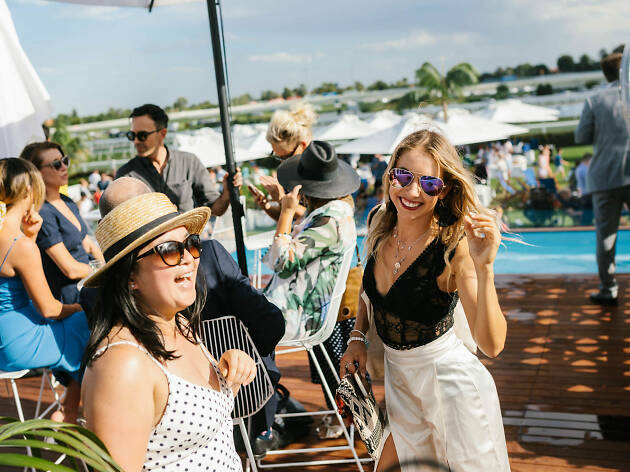 And what's more, this event is your first opportunity to experience Caulfield's new Bondi Sands Beach Club when the summer activation launches at the Australia Day races. The Melbourne Racing Club is throwing a super-luxe Australia Day barbie on Saturday, January 26 featuring dishes like Wagyu brisket, Flinders Island lamb souvlaki, and flame-grilled octopus. Of course, there will be plenty of delicious cocktails to keep you hydrated. Or, if you’re after something a little finer, make a booking at the Black Caviar restaurant, where you can opt for a four-course luncheon by executive chef Julian Robertshaw and his talented team. 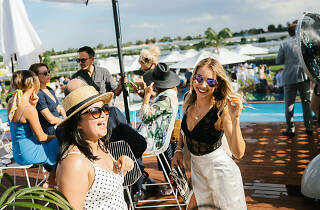 Kick back and enjoy the racing action and celebrate the launch of the Bondi Sands Beach Club this Australia Day. Racegoers at Caulfield can cool off in between races in the Bondi Sands Beach Club which is decked out with sand, cool water, deck chairs and luxe bean bags (minus the seagulls). Chill out while enjoying live tunes from the Ash James Trio. The day kicks off at 11.30am, Saturday January 26 (in case you forgot when Australia day is). General admission tickets are $10 per adult and kids under 16 enter free. Book your tickets now at the Caulfield Races website here.